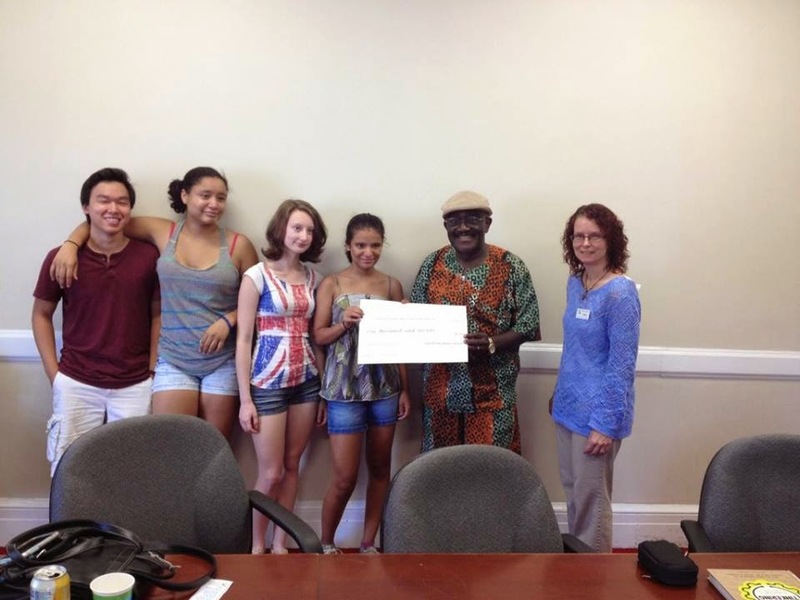 Earlier today (July 2, 2014), the Teen Advisory Board for Jefferson-Madison Regional Library presented a $1,000 check to Nana Ghartey and the Charlottesville-Winneba Foundation to support a new after-school reading program in Winneba, Ghana. 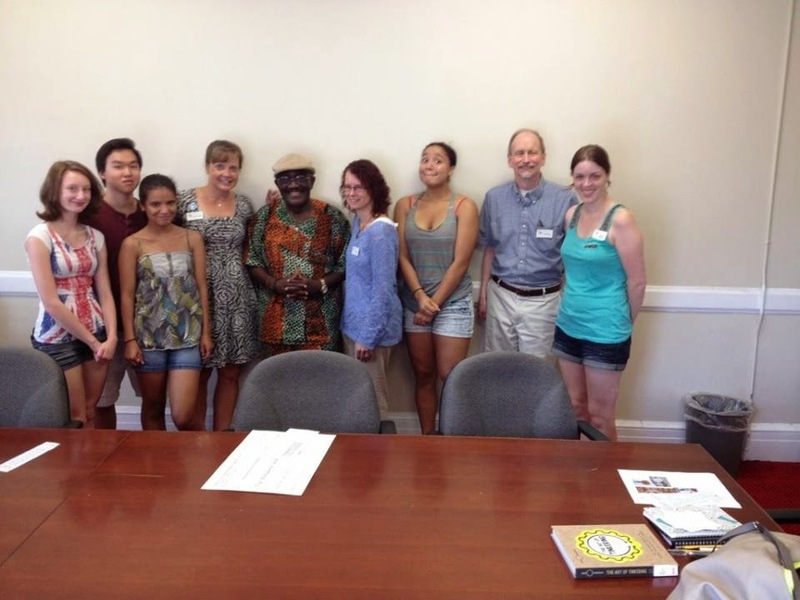 The teens raised the funds with a book-reading competition this summer. 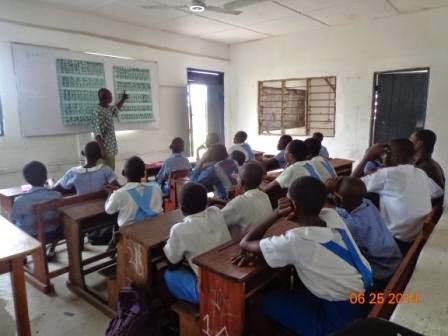 "This will go a long way to help these under privileged school kids in Winneba to read," said Ghartey. 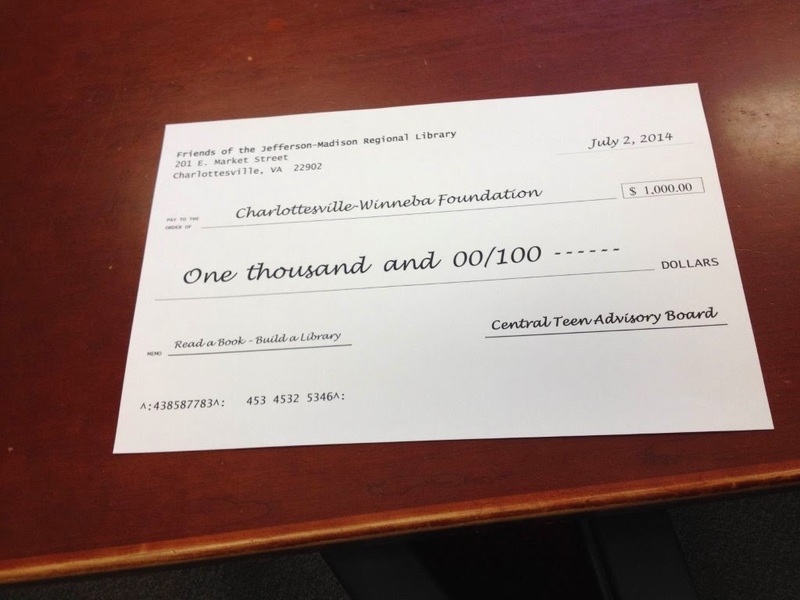 "Please help me to say a big thank you to the teens. God richly bless them."